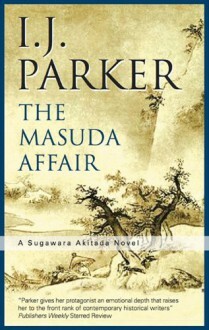 A Sugawara Akitada Mystery of Ancient Japan - Eleventh-century Japan. Government official Sugawara Akitada finds a small mute boy on a deserted road. Akitada, still grieving for his own small son, determines to find the boy’s parents. Meanwhile, Akitada’s faithful servant Tora has troubles of his own: he has lost his new bride to a powerful man who pursues beautiful women and will stop at nothing to possess them. The trails of these two seemingly unrelated cases lead Akitada and Tora to the entertainers and prostitutes of the amusement quarter, and murder follows in their footsteps . . .